One day, my labmates and I rowed a rowboat across Bamfield Inlet and visited Scott’s Bay before the fog had cleared for the morning. 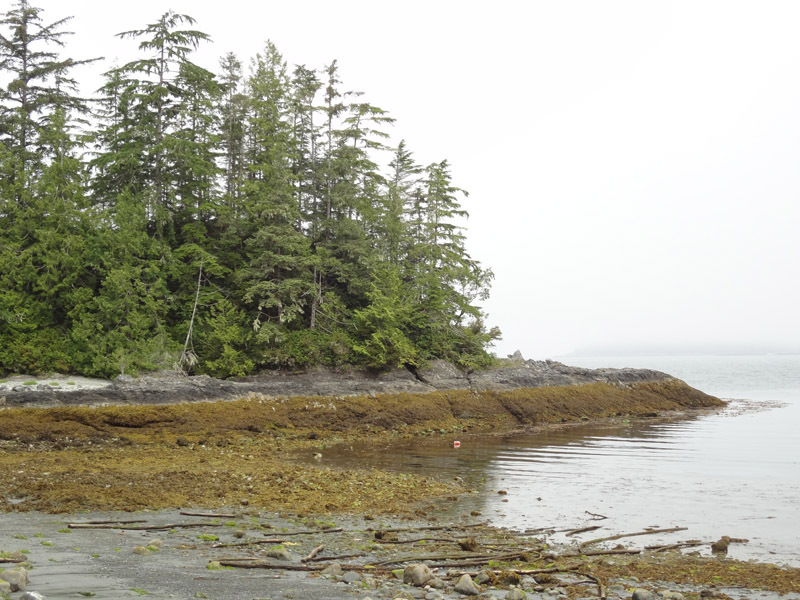 The fog ate up all sounds except what was immediately close to us–water lapping up on the shore, squelching rocks and sand as we carefully tiptoed our way through the intertidal zone, and the occasional yelp as someone startled a clam. Wait, what? What could a clam do to surprise a person walking through the intertidal zone? Intertidal clams burrow deeper into the sediments to escape predators, but our footsteps triggered the response as well. How bivalves (the group of molluscs that includes clams, mussels, scallops, oysters, and tons of others) burrow is a question that’s been given a lot of thought. A few years ago, I heard a seminar about the RoboClam, a robotic clam built by MIT engineering professor Anette Hosoi and her graduate student, Amos Winter. They wanted to figure out how razor clams burrow so they could build anchors or other burrowing instruments that could enter and exit the sediments underwater easily. For more information about the RoboClam, check out this press release from MIT’s website. Still, why we yelped when the clams started burrowing hasn’t been answered. What’s the mystery then? Well, part of what a clam needs to do to burrow is to expel the water from its shell. Check out this video and you’ll see why walking through an intertidal zone full of clams can cause quite a shock!